With nearly 400 stores across five countries, we're a one-stop source for domestic, international, and freight shipping services. When you visit your local Pak Mail in Toledo, we'll find the most cost-effective, safe way to pack and ship your items, whether it's by air, ocean, or ground. We are the premier packing and shipping service provider for the entire Toledo area, including: Toledo, Sylvania, Perrysburg, Maumee, Holland, Monclova and Ottawa Hills Our service area extends up into SE Michigan and all of NW Ohio. We ship UPS, FedEx, US Mail, DHL and Truck freight for larger items. Do you need to ship some furniture across town or across the country? How about some help with a small move? Do you need something packed or crated to keep it safe for shipping? Does it need to be shipped international? 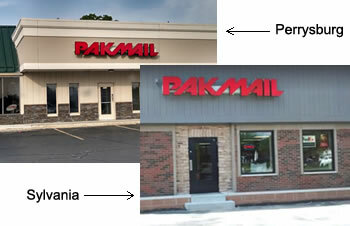 Pak Mail of Toledo specializes in shipping large items. Whether you have one piece of machinery to ship or a whole room full of furniture to ship, we can help. We offer a pickup service that covers Northwest Ohio, including Toledo, Sylvania, Perrysburg, Maumee, Ottawa Hills, Cleveland and Southeast Michigan including Ann Arbor and Detroit. We've been servicing the Toledo area for 16 years. We are your small move specialist. Unlike the major moving companies, we do not have a minimum weight requirementt so you only pay for what you ship. Whether you have one piece of furniture or a whole room, we can do it. We pack and ship anything - from Grandma's china to Grandpa's Grandfather clock, from dressers to dresses, from artwork to artifacts....... We do it all.